San Diego Comic Con prep is in full swing and i'm a little less freaked out and more just anxious now. i just wanna be done with prep and just BE THERE. one of the cool things i get to be a part of this year is that the Girls Drawin Girls group is doing an exhibit with the Chuck Jones Gallery in San Diego Thursday evening of comic-con (7pm-10pm). it's called "What's Pin-Up, Doc?" 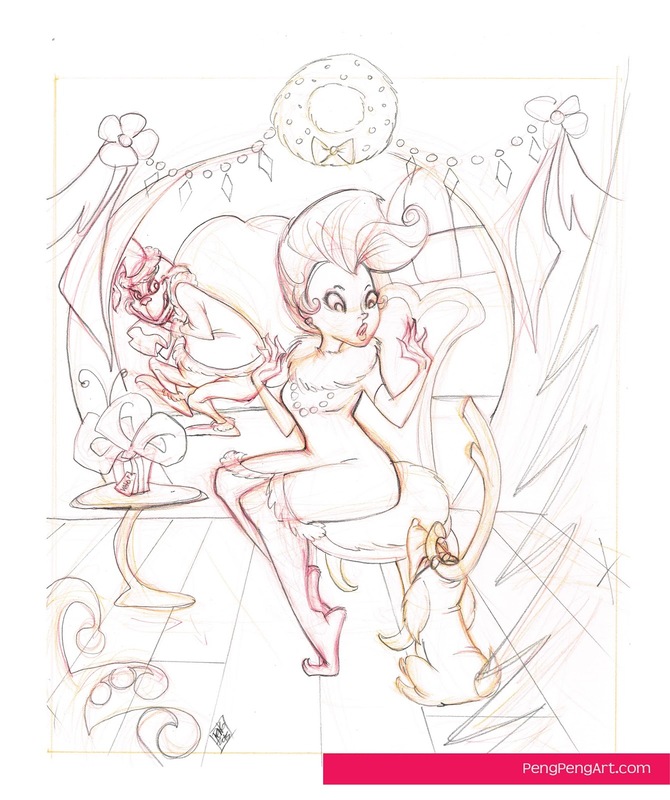 due to unfortunate oversight, i didn't know until super late that i was one of the girls chosen to exhibit but i whipped up a Grinch-inspired pin-up just in time anyways. BUT only after turning it in, i found out we can't use any Dr. Seuss/Chuck Jones stuff. so i did a brand new one in 2 days - like a boss! i don't wanna show the one that's gonna be used just yet. however, since the Grinch one isn't being used, no harm in showing u guys! 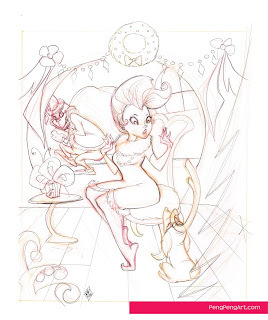 took me some time to figure out how to make a pin-up piece from the Grinch cartoon without it looking inappropriate. 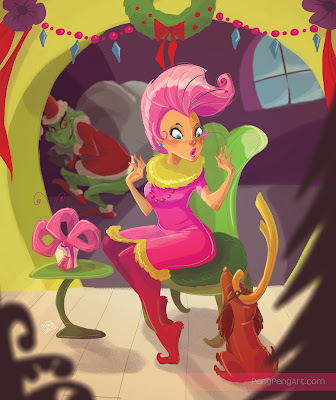 but i spotted this one Who lady in Whoville with a cool pink mohawk and pink & yellow dress, so i had to draw her. this Who had style! maybe i'll use it for something else later. now, back to getting stuff ready for the con of all cons!